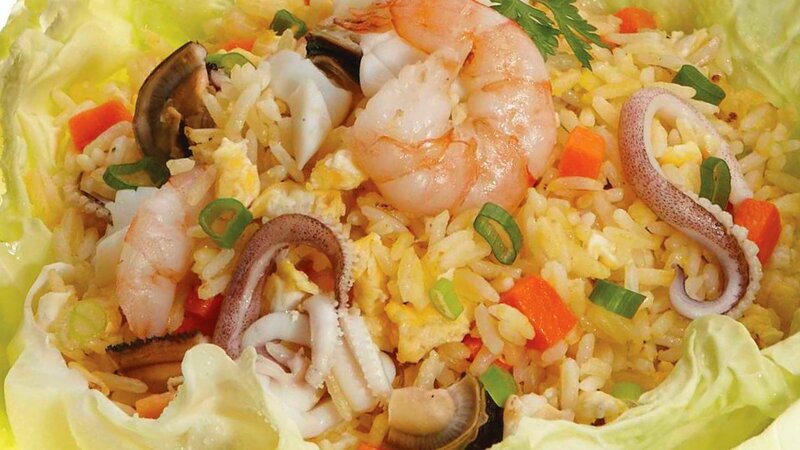 Seafood fried rice with mayonnaise and vegetable topping will create unique flavour that have unforgettable aftertaste. Steam the rice and set aside to cool. Heat up the oil in a frying pan. Fry egg, seafood, and carrot for 5 minutes. Add rice and KNORR Chicken Powder. Fry for two minutes. Add green onion, pepper and Best Foods Mayo Magic. Fry until all ingredients are well combined.